Sometimes, a personal bankruptcy in Toronto is the best solution to a debt problem especially if you live in an expensive city. But before you make that decision, know the facts. There are both alternatives and consequences to consider. 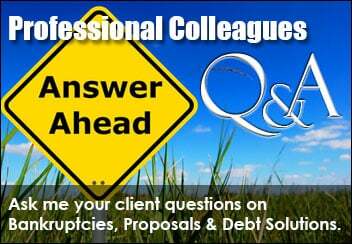 Often a combination of formal and informal steps can be taken instead of declaring personal bankruptcy. And if you do declare bankruptcy, that fact remains on your credit record for many years. You also need to deal with a licenced Licensed Insolvency Trustee – someone who understands Canada’s federal Bankruptcy and Insolvency Act and can help you make the right decision for you. After all, personal bankruptcy is a legal process, governed by federal law whether you’re in Toronto, Vancouver or Halifax. The intent of the law is to allow you to clear your debts, and at the same time, treat the creditors fairly. You must live or work in Canada and be insolvent to be able to claim bankruptcy in Canada. Insolvency means that you owe at least $1,000 and you are not able to pay your debts. The type of debt you have makes a difference in bankruptcy. Usually unsecured debts are discharged. So credit card balances, personal loans, unpaid utility bills in Toronto, retail store accounts, medical bill and even past due insurance premiums could be discharged. But there are debts that remain owing when you declare personal bankruptcy – such as child and spousal support and student loans. These loans will continue to be listed on your credit score. We know this is a very stressful decision. And it’s important that you are comfortable with the person that you are dealing with during your bankruptcy. Once you declare bankruptcy, there is a “stay of proceedings” a legal term which means that unsecured creditors cannot contact you to request payment, they cannot garnishee your wages, and they can’t start or continue a lawsuit. 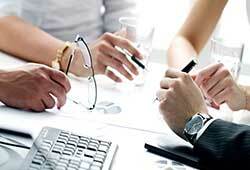 Your trustee handles the negotiations with the creditors on your behalf. Bankruptcy is not just an easy fix when you get in over your head. There are consequences…Your R9 rating remains on your credit record for a number of years. 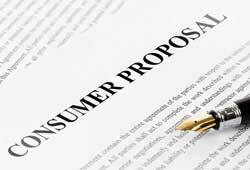 You’ll find that some companies will be reluctant to issue credit to you once you’re declared bankruptcy. You’ll have to submit a monthly income statement to your trustee during the bankruptcy process. Get the facts about bankruptcy from someone who is a Licensed Insolvency Trustee in Toronto. 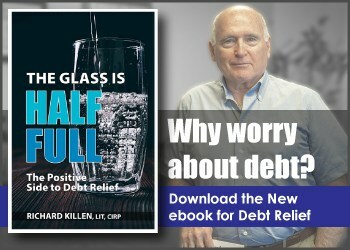 Come in and talk to us at Richard Killen & Associates. There’s no charge to talk. And it could mean a fresh start for you and your family. Our Toronto office is located at Danforth & Main, at the Main Street subway stop on the East/West Danforth line. We share space with the Elizabeth Webster, a solicitor whose firm has been providing legal services to the area since 1941. 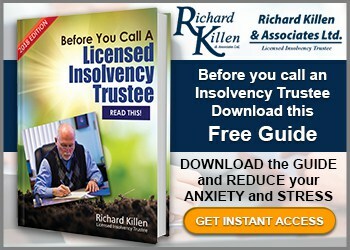 For personal bankruptcy in Toronto, Richard Killen & Associates could be the most stress relieving call you’ll ever make.